The Chinese are at it again, murdering peaceful Buddhist monks and Tibetan protestors . Not that Chinese government cruelty is anything new; for instance, China has been detaining, torturing, and executing Falun Gong members and members of other groups for years. Thousands of prisoners have been executed for their organs  (video, 5 min 12 sec), which bring huge profit to the regime. And under Mao, tens of millions  of Chinese citizens were murdered by their own government. The news about China's assaults on Buddhists and others in Tibet last week reminded me of how jaw-droppingly cruel governments are in general. Try to imagine any free-market institution doing what China routinely does, which is to push people around at gunpoint and to murder them (or detain them or torture them) if they resist, and often even if they don't resist. Does Apple Computer do that? Does Stanford University do that? If they did, would we put up with it? It is easy to pick on China -- and they certainly deserve the exposure -- but in fact cruelty is an essential element in government action of almost any type. This is because government is simply a scheme to do things via coercion, and coercion itself is cruelty. In some cases, the cruelty is obvious and severe almost beyond belief. The United States federal government continues to arrest and imprison terminal cancer patients who use marijuana  to quell pain or to help keep their food down during chemotherapy. How does anyone still believe the fiction that government exists to help us and to provide "compassion" in any sense of the term? Wouldn't something as shocking and depraved as imprisoning terminal cancer patients for using pot pretty much cancel any amount of "compassion" the government might be credited with in other areas? Even when doing something that appears compassionate and helpful, government ends up causing pain, misery, and poverty in the long run. We are presently in the midst of a huge, century-long example in the form of economic destruction caused by government over-spending and over-printing of money. These sins have brought down nations and empires repeatedly in history and they are currently bringing down the American empire . The cynical, phony rationale for all the spending and programs that have bankrupted America has been to "help" us in an endless variety of ways, some of which would actually have been helpful had they not been funded coercively (i.e., if the private sector had done the job) but most of which have been harmful even in terms of their direct results (for instance, how many millions of children have grown up without their fathers because Mom would have lost welfare benefits if Dad had stayed at home?) In aggregate, the programs have simply drowned this nation in red ink, and our time as a rich, powerful nation and "beacon to the world" is now about over. If you don't think this represents a form of cruelty , just keep your eyes open over the next year or two. Government is a way to do things based upon the cruelty of coercion, and government action creates more cruelty as a side-effect -- even when that is not immediately apparent. 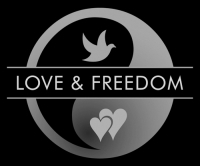 This is one reason that love and freedom go together: unfreedom erodes and destroys the conditions necessary for compassion.